The belief within the NBA is reportedly that Kawhi Leonard will choose between two teams when he becomes a free agent during the offseason. According to ESPN.com's Tim Bontemps, league executives believe Leonard's destination will be either the Toronto Raptors or Los Angeles Clippers. 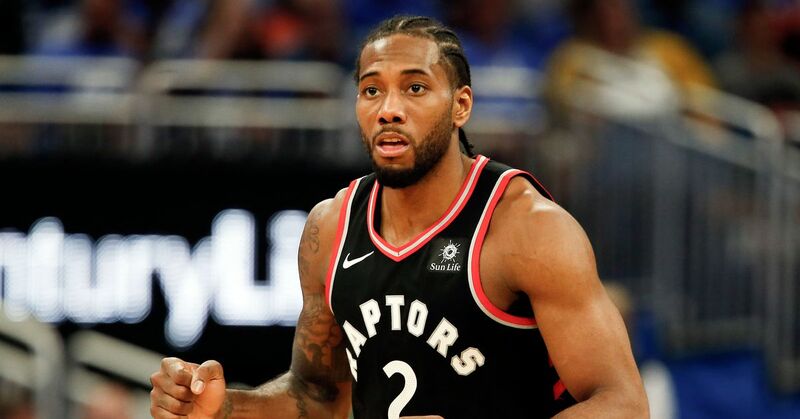 Leonard was traded to the Raptors from the San Antonio Spurs prior to the 2018-19 season, but the allure of playing in his hometown of L.A. is something that will be a constant topic of conversation until he makes a decision. After being limited to nine games with the Spurs last season due to a quad injury and seemingly falling out of favor with the organization, Leonard has transitioned seamlessly to Toronto. The two-time All-Star and two-time NBA Defensive Player of the Year is averaging a career-high 27.3 points per game to go along with 8.2 rebounds, 2.8 assists and 1.6 steals. He is also shooting 49.7 percent from the field and 36.1 percent from three-point range. At 28-11, the Raptors are second in the Eastern Conference and are just a half-game behind the Milwaukee Bucks. After years of playoff failures, Leonard likely gives the Raptors their best-ever chance to reach the NBA Finals. The Clippers have parted ways with several high-profile players in recent years, including Chris Paul, Blake Griffin and DeAndre Jordan. Even so, they hold the No. 6 seed in the Western Conference at 21-16 and are four games out of first place. L.A. lacks a bona fide superstar, but it has a lot of good pieces, including Tobias Harris, Danilo Gallinari, Lou Williams and Montrezl Harrell. Leonard would be the Clippers' unquestioned top player unless they acquire another superstar along with him, and he may be exactly what the Clips need in order to be contenders. It may be difficult for Leonard to leave if the Raptors make a deep run this season and establish themselves as the dominant team in the East, but the opportunity to go back home and potentially make the Clippers the preeminent team in L.A. over LeBron James and the Lakers could be tempting. 👀 Who's running the Lakers? 🤔 Bulls still looking for starting PG 🔮 What if Knicks don't land a star?